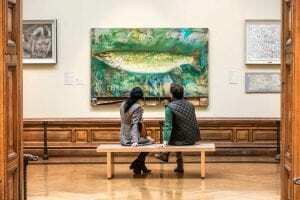 Crawford Art Gallery displays a selection of contemporary and historic Munster art from the eighteenth century to the present day, which tells a compelling story of place and history. Located in the heart of Cork city, open seven days a week and free to enter. Crawford Art Gallery is home to a collection of national importance and is a must-see for locals and tourists alike. Welcoming over 230,000 visitors a year, the Gallery is open seven days a week and delights all visitors young and old. The Gallery boasts an award-winning café in stunning surroundings, serving fresh local produce for which Cork is famous. A treasure trove of Munster art from the 18th century to today.